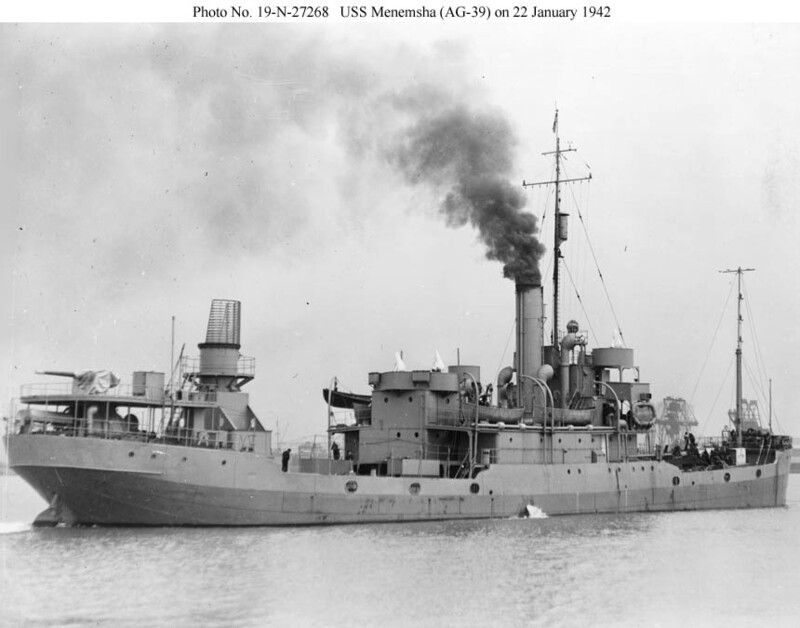 The future USS Manasquan (AG-36) as completed in 1918. 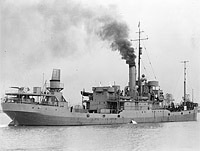 The designed rig of this typical Great Lakes-built small cargo ship consisted of two masts, one on the forecastle and one on the poop, and two kingpost pairs, one at each end of the amidships superstructure. 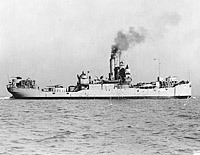 To make it harder for a submarine to get a fire control solution, the top portions of the two masts were removed and a light pole mast was fitted near the smokestack to support the radio antennas. 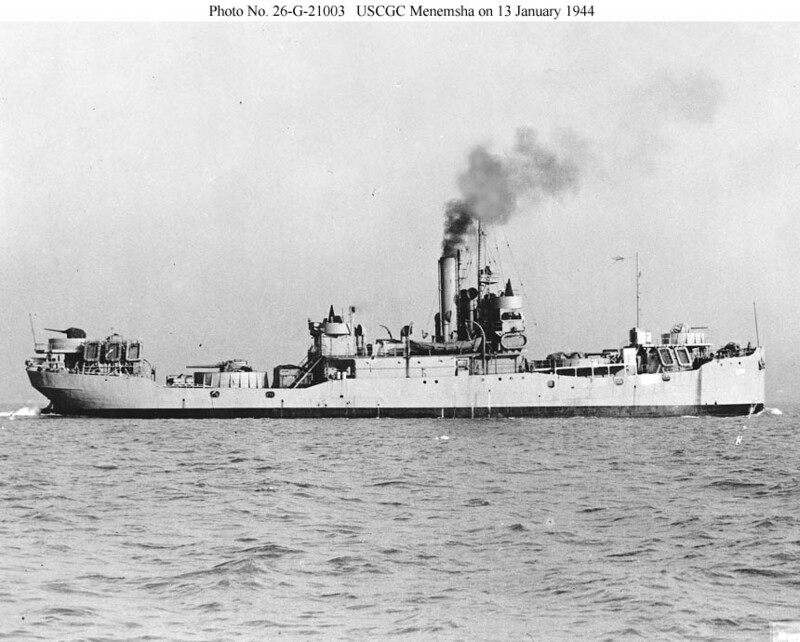 Near Baltimore, Md., on 22 January 1942 two days after commissioning. As a weather reporting ship this vessel lost all of its cargo handling booms and most of its rig. The round structure aft was for inflating and launching weather balloons. 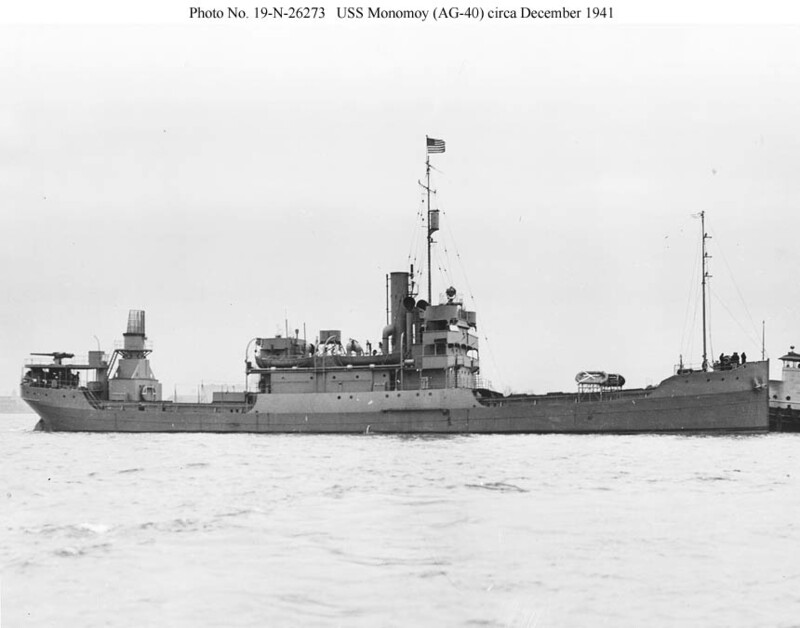 Near Baltimore, Md., circa December 1941 afte completing conversion. 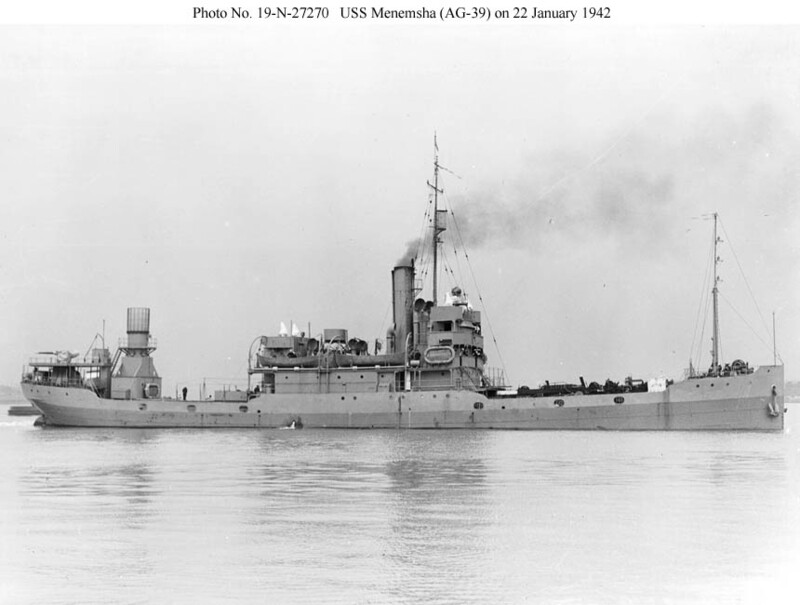 She was converted by the same shipyard as Menemsha and was nearly identical in appearance. 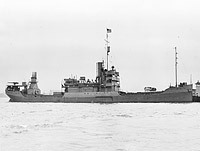 Post-conversion photographs of Manasquan, altered at a different yard, have not been located. Photographed on 29 October 1943, one week after her transfer from the Navy, upon her arrival at the Coast Guard Yard, Curtis Bay, Md., for conversion to an Armed Guard training ship. 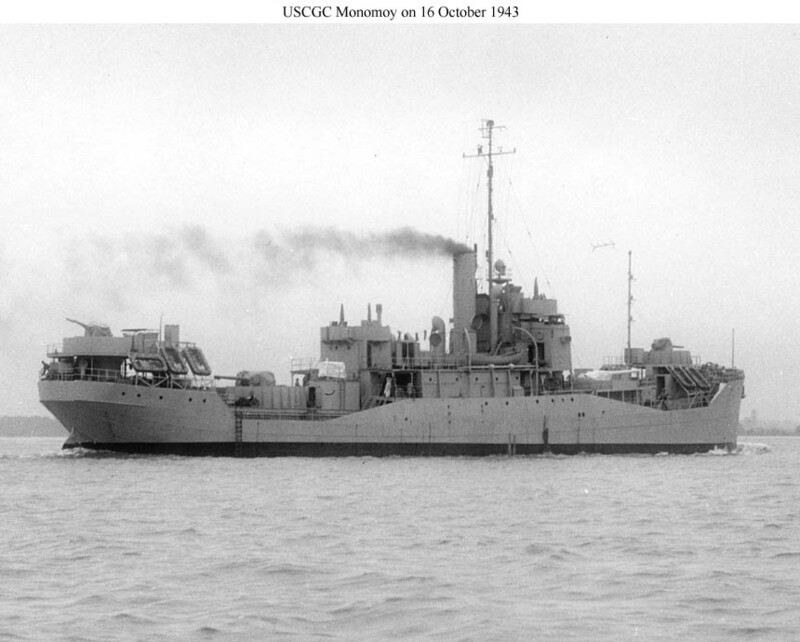 On 16 October 1943 after completing conversion to an Armed Guard training ship. 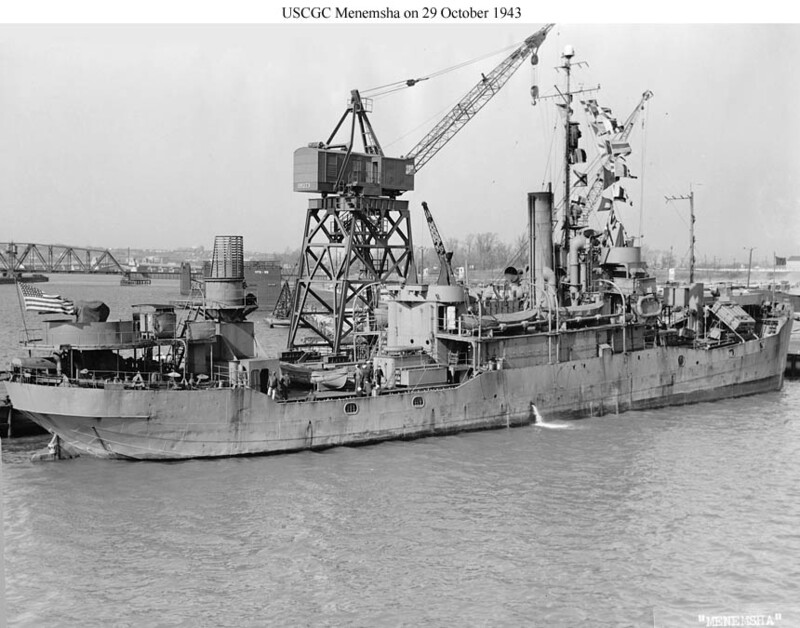 Her armament, very heavy for any auxiliary vessel, consisted of one 5"/38 in the after well deck, 2-4"/50 side by side in the forward well deck, and 2-3"/50, one forward and one aft. The bulwarks in her well decks have been cut down to deck level and replaced with railings. 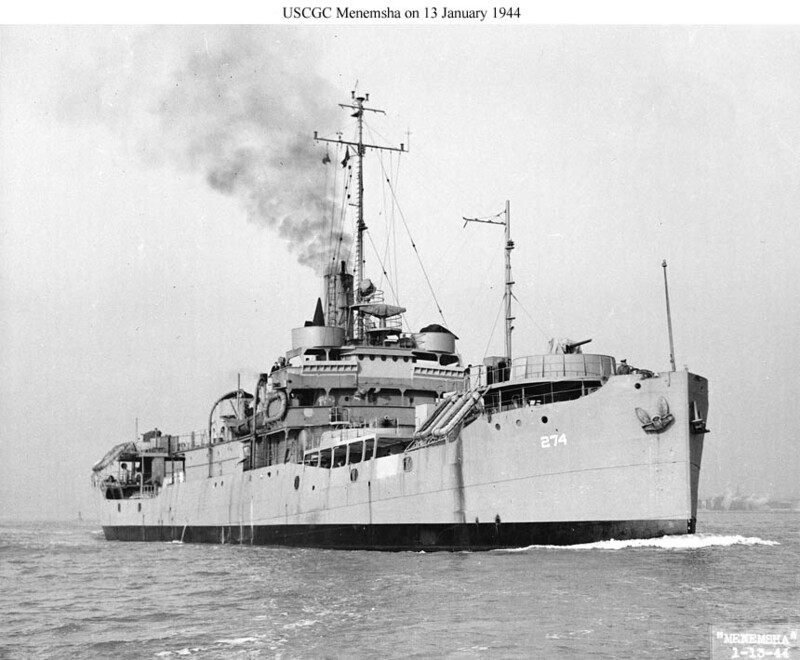 On 13 January 1944 after completing conversion to an Armed Guard training ship. 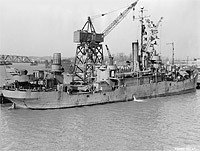 Unlike her sister, converted earlier at the same yard, this vessel retained her original bulwarks with large limber holes in her well decks. 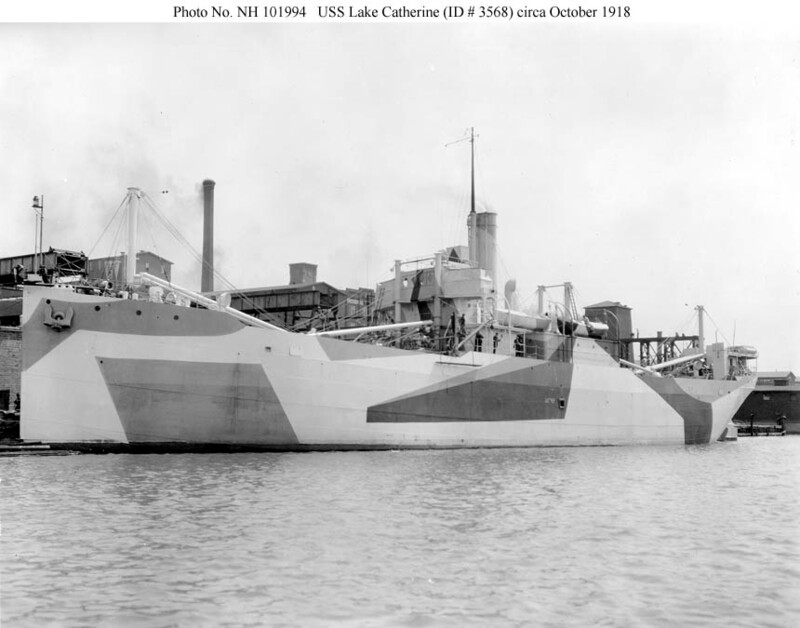 A small, 26-year old Great Lakes cargo ship armed to the teeth and masquerading as a combatant warship. She is shown on 13 January 1944 after completing conversion to an Armed Guard training ship.